Have you ever been sitting on the bus or standing in an elevator, minding your own business, when your nostrils are attacked by a rank stench that can only be described as biological warfare? You look around, but nobody will claim the offending odor. When you’re a victim of a dreaded S.B.D. air assault, it’s time to whip out a tin of Who Cut The Cheese Mints. 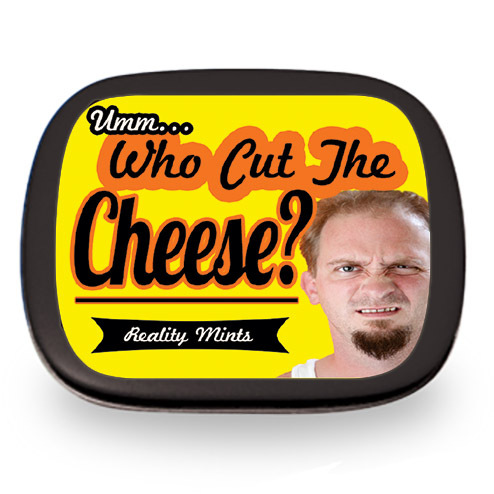 Pass it around, and the look on the guilty party’s face will give away his location. 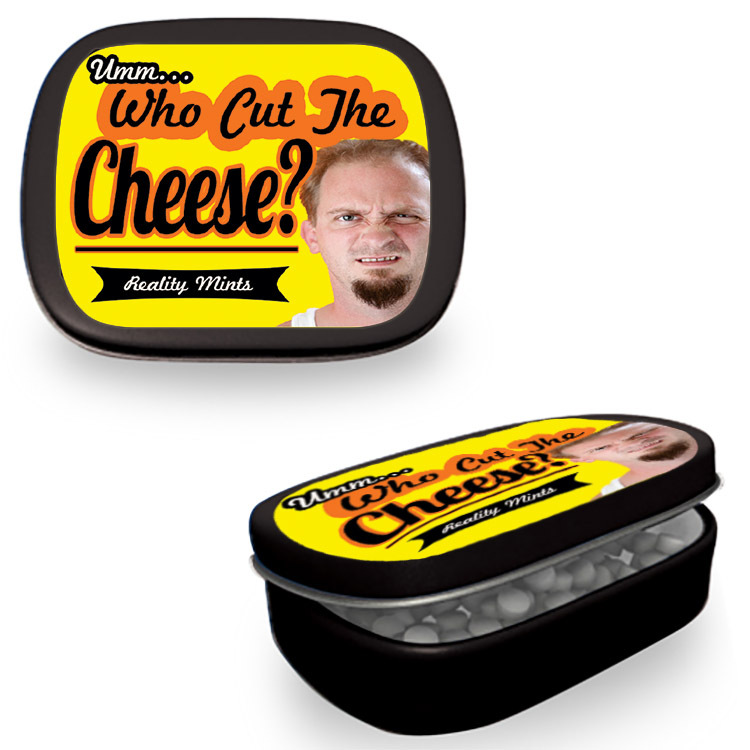 - Collectable tin reads: Umm…Who Cut The Cheese? There’s no telling what caused the rogue farter’s condition, but a good friend will do what he can to make the flare up stop, or at least more bearable for everyone within sniffing distance. 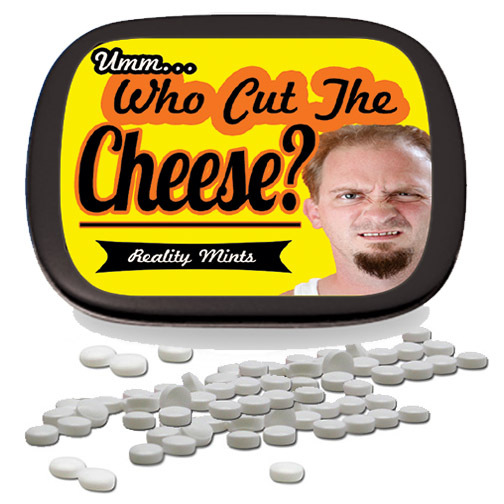 We can’t guarantee that a steady diet of Who Cut The Cheese cinnamon mints will cure what ails the crop duster’s bowels, but it certainly can’t hurt. Think of the children!! !